Brodhead Center for Campus Life, Durham, NC. 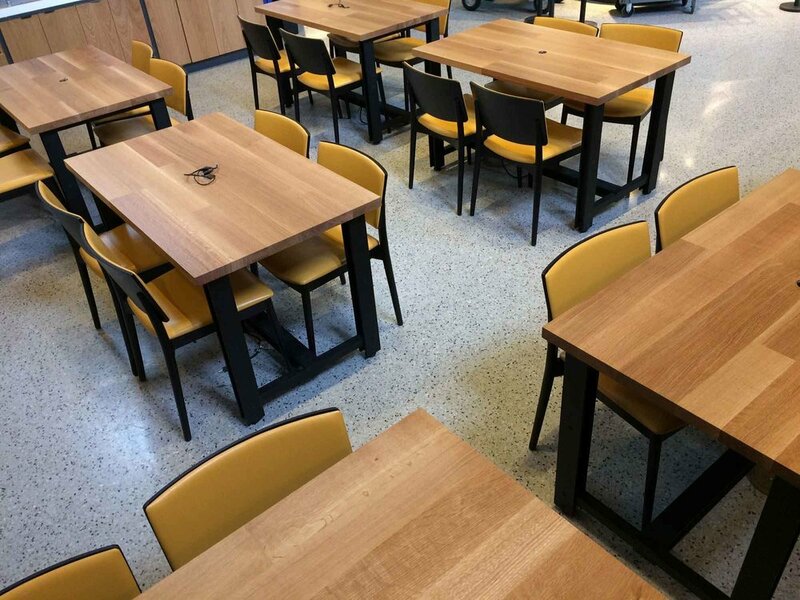 Rift sawn white oak + powder coated aluminum dining tables with integrated iPad technology for The Cambridge Inn. Collaboration with Grimshaw Architects and 21 Bridge Design.